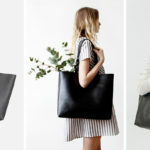 Everybody needs a good weekend bag – something dependable that you know is up for the challenge of keeping all your things safe, organised, and dry. 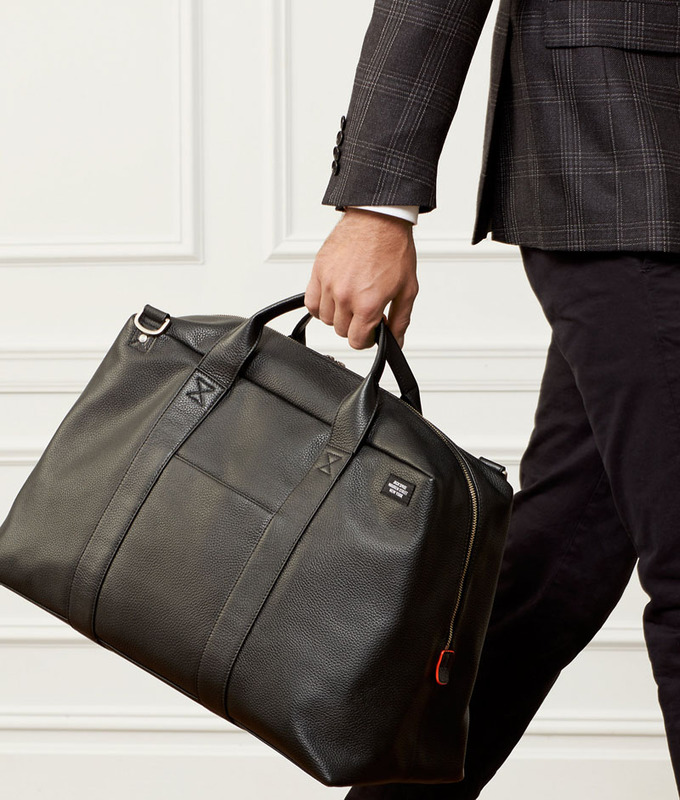 A well made duffel bag can last a lifetime, or at least close to it. 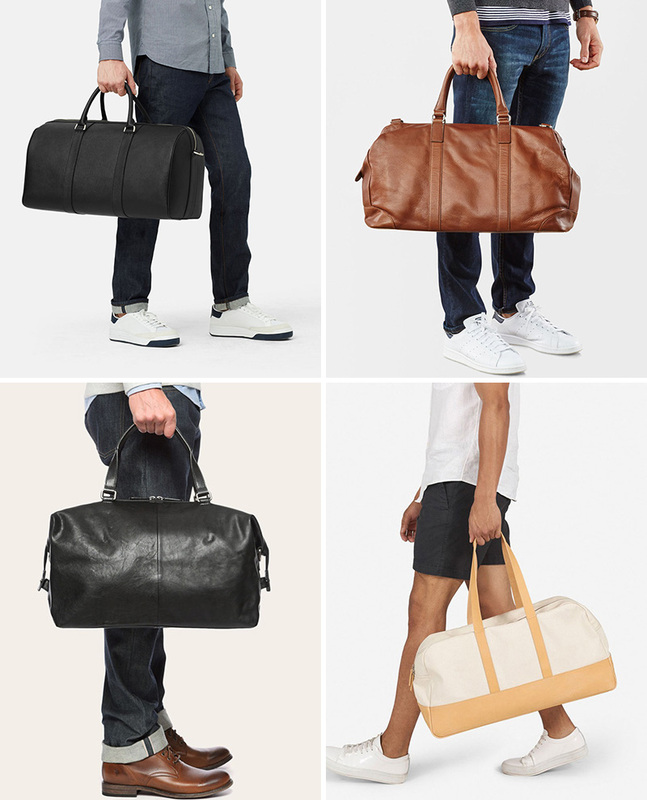 Here are 13 examples of modern leather and canvas weekend bags perfect for a quick trip. 1. This light brown weekend bag protects your clothes in more ways than one – a felt interior zips up to keep your clothes all organised and a leather exterior wraps around the outside to give you more storage and additional protection for your clothes inside. 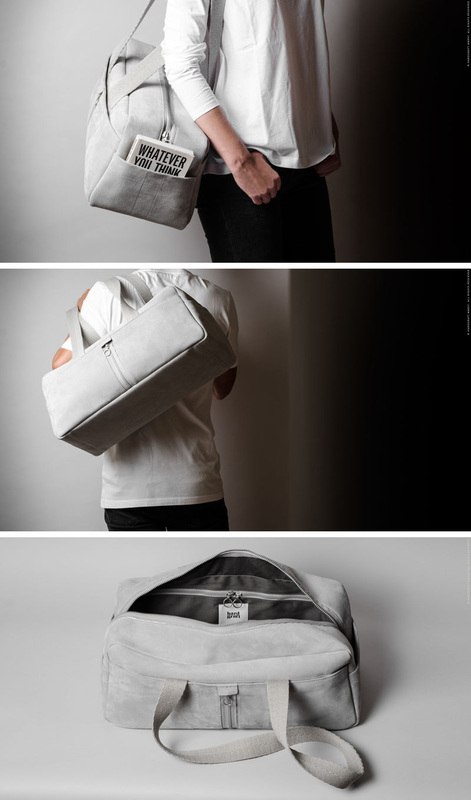 2.The long canvas straps on this light grey overnight bag make it easy to swing over your shoulder as you head out on the road. 3. 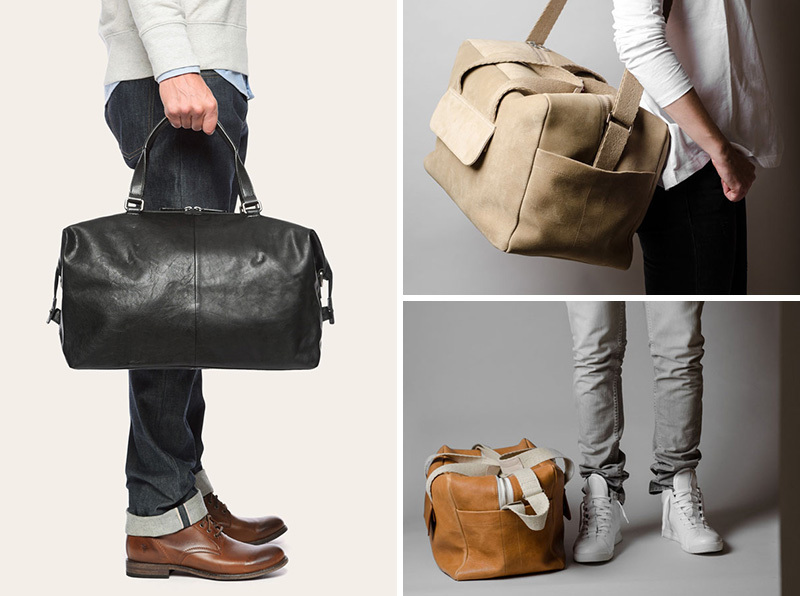 Stay organised on your travels with a leather duffel bag that has plenty of storage compartments, helping you keep your documents and papers in the correct spot. 4. Whether you throw it over your shoulder or carry it by the handles this light grey, leather weekend bag will have you looking stylish. 5. A light tan leather bag, like this one, adds a bit of color to your travels while still keeping things neutral and practical. 6. 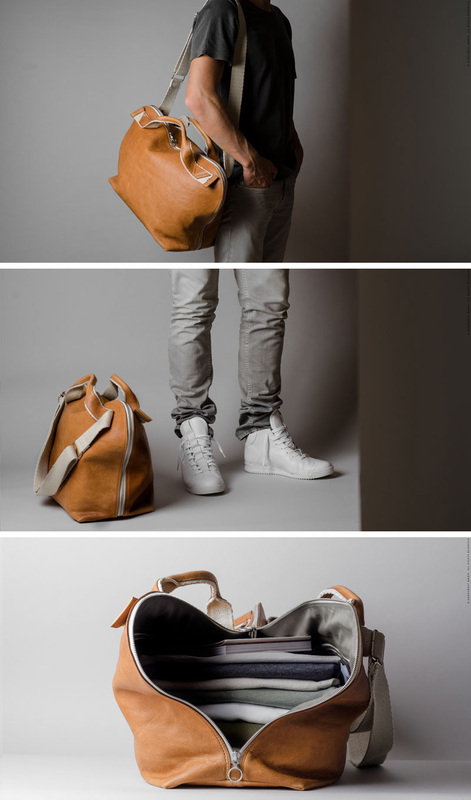 Mix things up a little and go for a bag in a lighter color, perfect for the spring and summer seasons. 7. 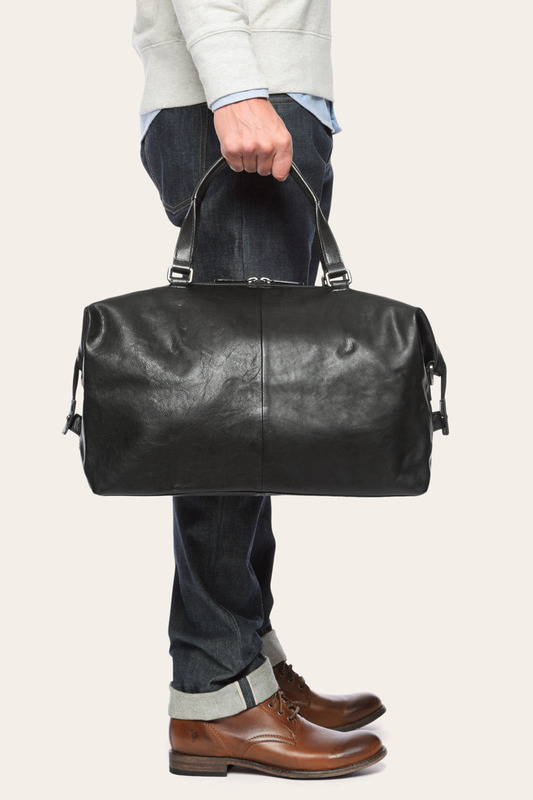 This clean, black leather duffel bag adds sophistication and class to all who carry it. 8. 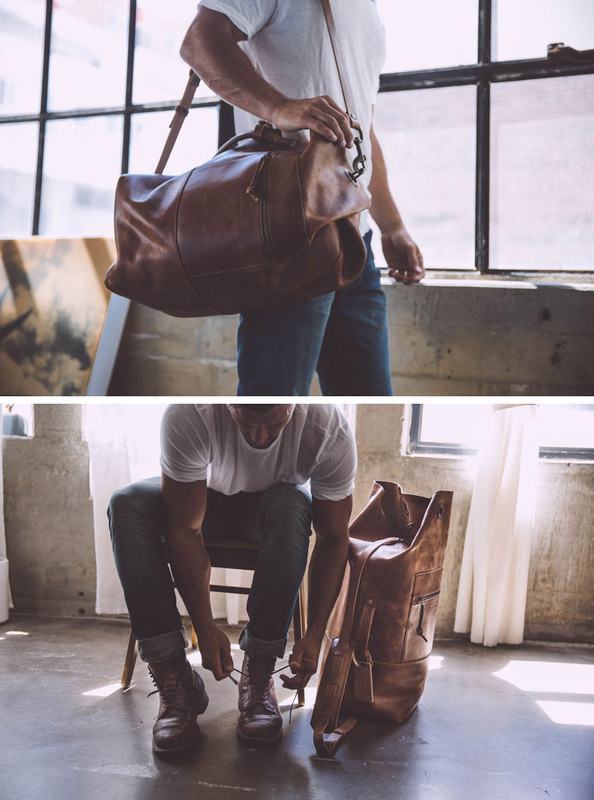 A large brown leather duffel bag with extra pockets inside ensures that you’ll be able to fit in all your essentials. 9. 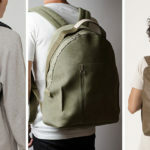 This stylish light brown, weekend bag easily swings over your shoulder and conveniently unzips all the way to the bottom, making it easy to pack and unpack. 10. A modern spin on the old school military bags, this brown leather duffel bag will keep your things safe and keep your style on trend. 11. 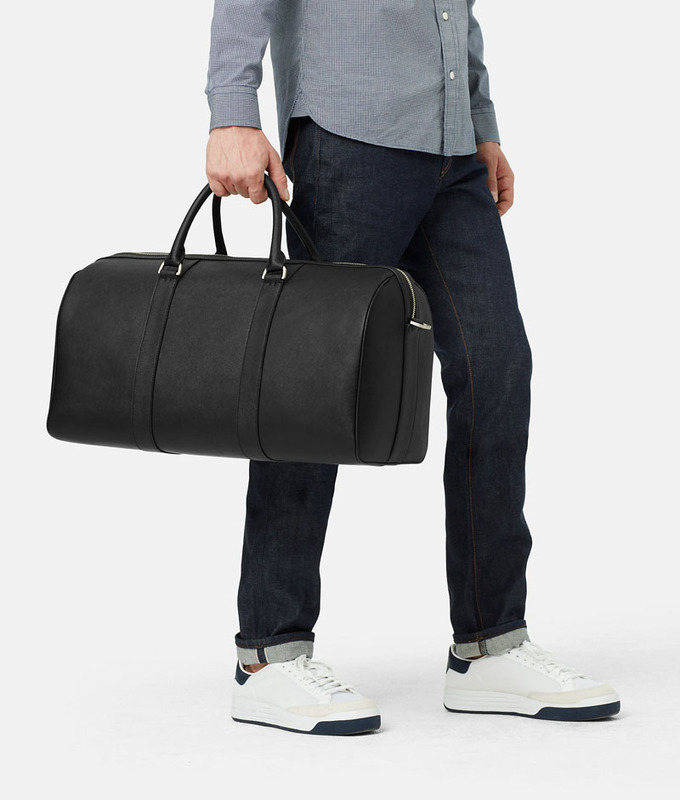 This simple black leather weekend bag lets you show off your sophisticated style. 12. 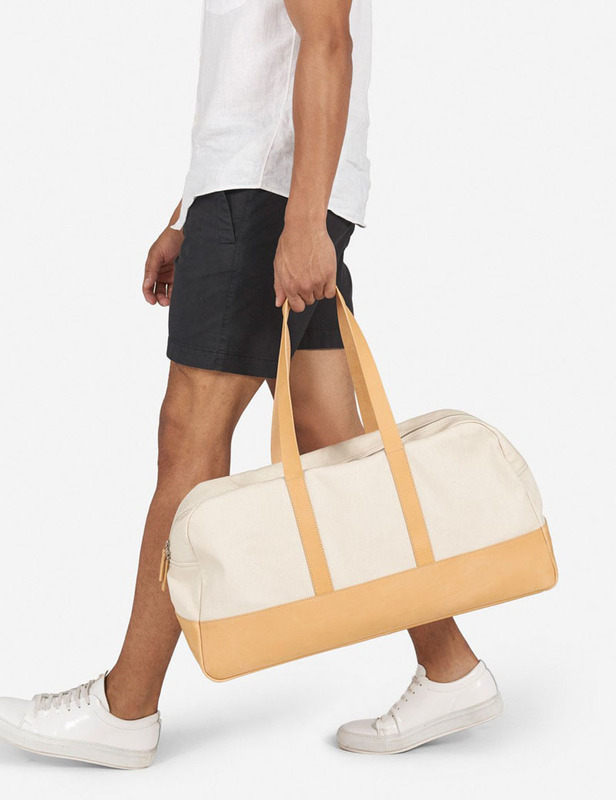 This sturdy light colored suede duffel bag has lots of storage to make sure nothing has to be left behind. 13. 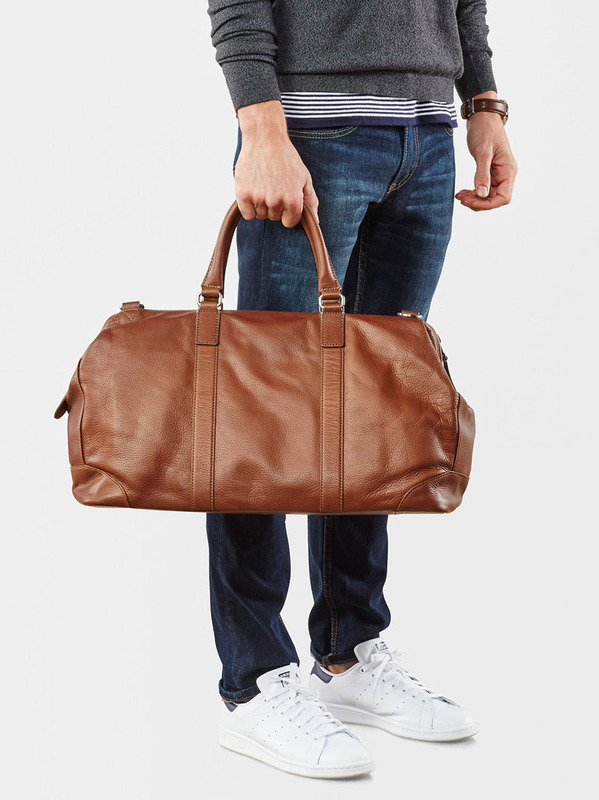 Show the world you’ve got class while you carry this buttery leather duffel bag around on your travels.